1. What do you consider the most important role of the ALSC President? The ALSC President must be a leader who works together with the ALSC Board, staff, and members to accomplish the goals of the Strategic Plan, and work together collectively to move the organization forward. A big part of this is to be a strong advocate for our children, and families, and to be a supporter of children’s services staff. 2. What skills & strengths would you bring to the office? I love to bring people together to collaborate to work toward a common goal, and to work to include all voices, especially those that are not the loudest. I have a strong commitment to ensuring children and families have access to literacy and learning experiences that support them in being successful in their lives. 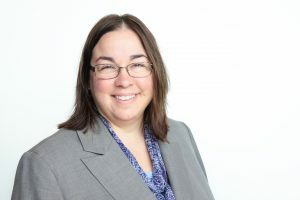 I am a proponent of diversity in the library profession, and am an advocate for resources and materials to serve communities in a meaningful way that empowers everyone. In almost 30 years as a librarian, I have moved up the ranks in a public library system from an entry level children’s librarian to an administrator, always focusing on supporting children, teens, and families. I never say never and I am goal oriented, working with others to reach a successful outcome. I have a good sense of humor (who can work with children and not have a sense of humor!) and I can use my strengths and experiences to help move ALSC forward. 3. What areas of personal/professional strength or weakness do you feel could be enhanced or improved through this ALSC leadership position? I have a strong commitment to literacy and knowledge of informal learning and I love meeting new people. I believe that being part of the ALSC leadership team will enable me to learn more about both national and member driven literacy initiatives, that can support the work of ALSC and that I can then turn around and use in my daily work. If I am elected, I am also excited to improve my use of social media by sharing more about ALSC and the work we are doing. I have dipped my toe into the social media waters, and becoming ALSC Vice-President/President-Elect would allow me to fully jump into the social media pond to better share all the exciting things happening in ALSC. 4. Why should someone choose to join ALSC? What services do you feel ALSC provides that are valuable to new members? To long-term members? ALSC is a wonderful group of youth advocates who collectively support each other to be successful in serving our communities. This is an organization that provides support, comradery, and learning opportunities to its members. There are avenues to participate in shaping not only the organization, but the future of library services for children and families. Joining ALSC allows all members to connect with this delightful group of people; to share, to learn, and to grow in a supportive environment. ALSC also provides a place for networking and meeting with others who are passionate about books, libraries, and children. There are opportunities to be mentor or a mentee. It’s a great place to meet new people, and gain new skills, take classes, take advantage of leadership opportunities, and share expertise. 5. What are your ideas for reaching and involving members? What are your ideas to recruit new members? ALSC has current and previous efforts for recruiting new members that have worked well, including, the Student Membership program and the ALSC Equity Fellowship, that is doing a lot to not only bring new members in, but to diversify our membership. I wholeheartedly support this. Members are incredibly passionate about ALSC and empowering members to recruit new members can be really successful. ALSC’s mentoring program is also a great way to support each other and provide a way to reach and involve more members. I know that conference attendance can be a barrier for many members to become more involved, so extending the work of virtual committees and other virtual opportunities is a great way to lower at least one barrier for participation. 6. Advances in technology and changes in the political climate are dramatically impacting libraries. 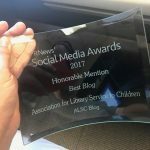 What are your thoughts on how ALSC can best continue to be a positive force for librarians, for libraries, and for children? Advocacy, Advocacy, Advocacy! ALSC’s core values of integrity and respect, inclusiveness, responsiveness, and leadership have a role here. ALSC can continue to be a leading advocate nationally for strong libraries that are welcoming to all, and continue to be a place of learning by leading with our strong core values. Technology has changed the way the world works and libraries are no exception. Now more than ever librarians and libraries are needed to advocate for quality resources and to promote information literacy. Children are a click away from information that may be real or not, and guidance from information professionals helps them distinguish fact from fiction. Technology can be an asset to support our work and provide access to information, facts, and knowledge to support our communities’ needs. 7. 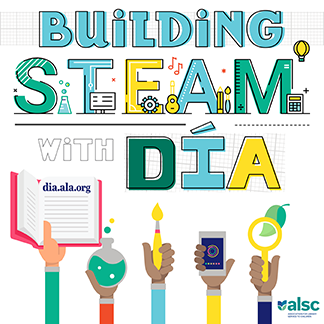 ALSC has a commitment to conversations on diversity and inclusion and the essential roles that children’s librarians have in ensuring rich and diverse collections and programming. How will you work to enhance this commitment? Diversity and Inclusion is a highlight of the ALSC strategic plan, and I will continue to work to implement the goals. I think it is important to continue to increase the diversity in ALSC membership so that children’s librarians better reflect the communities we serve. As ALSC is a learning organization, it is essential to continue to provide educational opportunities for members to learn more about providing diverse and culturally appropriate programming, best practices in supporting diverse publishing, and developing cultural competencies and cultural humility. I think it’s vital to create opportunities for the ideas and suggestions of members to be heard, so that together we can move the conversation forward. 8. If elected, what topic would you like to highlight for either a preconference or the Charlemae Rollins President’s Program? I am interested in diverse and culturally appropriate programming, especially for summer learning programs. Libraries are moving from summer reading programs to summer learning programs and while libraries are improving diversity and inclusion on multiple fronts, programming is something libraries do almost every day. I think there is some synergy around the convergence of these two topics. However, since it is a little while until the program would occur, I would want to make sure that the topic I selected would be important and timely to the membership, and I would plan to continue to get feedback from the members and refine the topic as appropriate. 9. What is your motivation in running for this position? I have a commitment and passion for children’s library services and literacy, and I believe that ALSC has the platform to support library staff in helping children succeed. I can be a strong advocate for children, libraries, and children’s librarians if elected. I have been a member of ALSC for 30 years and it has become a home away from home for me. I am excited by the possibility of becoming the ALSC Vice President/President Elect, and I am honored to be on this year’s ballot. 10. What else would you like the voting ALSC membership to know about you before they vote? I believe the work ALSC does is important and makes a difference. I believe all of you make a difference. I have learned a lot from ALSC members through the various ALSC communication channels and program offerings, and I look forward to working with you to continue to make a difference for children and families. According to a recent press release from ALA, polls will open at 9 a.m. Central time on March 11, 2019 and will close on Wednesday, April 3 at 11:59 p.m. Central time and will take place exclusively online. To be eligible to vote, individuals must be members in good standing as of January 31, 2019. This post addresses the following ALSC Core Competencies: Professionalism and Professional Development; Administrative and Management Skills.